This year at Maine Fiddle Camp there will be a VERY LARGE mandolin presence! There will be several tracks, beginner to advanced, during each session. Instructors are listed below.. Check out their web pages, and then sign up! 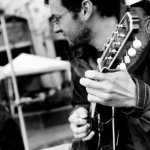 Baron grew up playing the mandolin in Maine and recently graduated from Hampshire College in Amherst, Massachusetts with a degree in music performance and ethnomusicology. Versed in traditional fiddle music, bluegrass, and jazz, he is known for his rhythmic experimentation and unique harmonic sense on both the mandolin and the tenor guitar. Baron plays with fiddler Julia Plumb in their duo Velocipede(www.velocipedemusic.com). 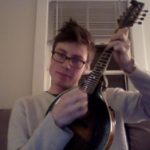 Eric McDonald has been instructing and performing on the mandolin for a number of years. In addition to his experience in the world of traditional music, Eric spent two and a half years studying at Berklee College of Music in Boston, where he learned from some of the best including mandolinist John McGann and cellist Eugiene Friesen. Exposure to jazz and other styles come through in his playing. Eric has spent the last three years touring with bands such as The Dave Rowe Trio, Matching Orange, Jaded Mandolin and others. You can hear him on many independent recordings by Boston based artists, and you can catch him teaching at the Passim School of Music in Cambridge. 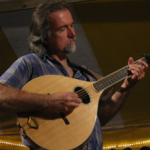 Jeff Lewis is a native to Waldo County and has spent the greater portion of his life immersed in music, specializing on mandolin in a diverse range of styles. He attended MFC as a student for the first time in 2005. After a stint studying mandolin at Berklee College of Music in fall 2010, Jeff relocated to Portland, Maine to pursue music professionally in performance and composing, in addition to continued intense focus on the mandolin. You can hear Jeff playing with Bennett Konesni and Mia Friedman as Fireside, and with Konesni and David Lewis as Free Seedlings. Jeff can be reached at 46 Turner St. Portland, Maine, 207-930-0009 or visit him on line at jeffersonlewis.bandcamp.com or myspace.com/dingomandolin.